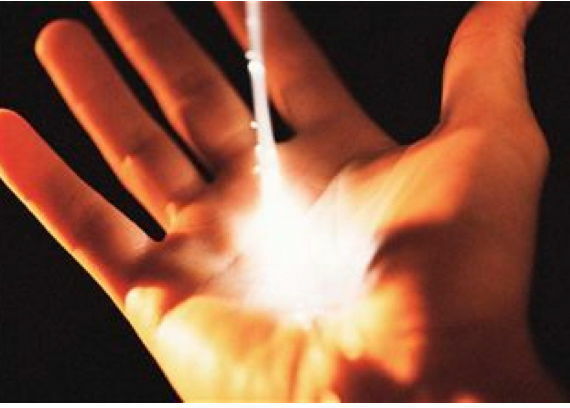 The energy medicine or bio-energy, otherwise known as quantum touch, touch therapy, healing or similar, is widely recognized by the various professions, especially in Europe and former USSR countries. There is however, a shortage of professional writing and knowledge dealing with bio-energy from a scientific viewpoint. 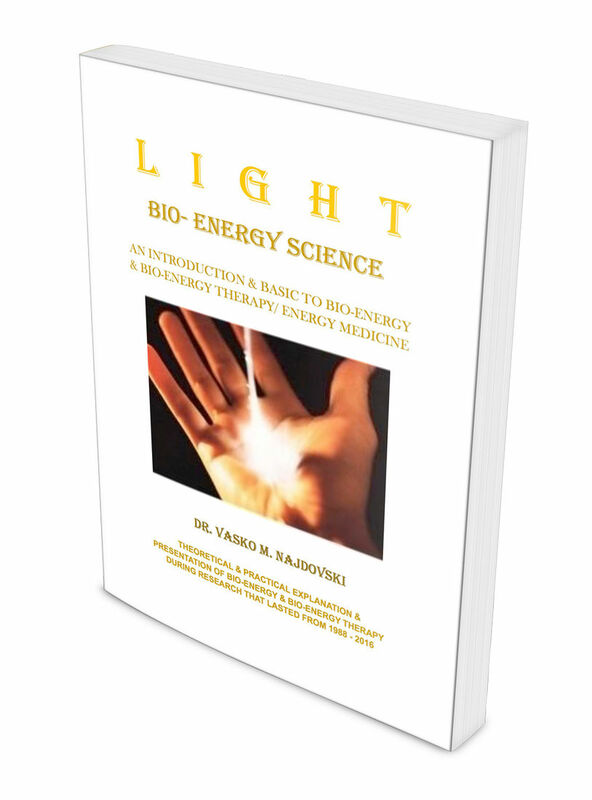 The bio-energy method was included and mystified in the scope of various 'very old' treatment methods. Over the last decade, bio-energy therapy has been considered an alternative medicine method, powerful, however yet to be clarified. The Good News in this field is that Bio-energy (BE) Therapy research has been completed after 20+ years. The results are positive good and unique/ peculiar, and are among the first produced anywhere in the world. The author is unaware of any other research of this type and/or proportion in terms of; duration, number of people treated, number of treatments and with that, delivering invaluable scientifically based results, assumptions and conclusions, which are increasing awareness and paving paths for a future of study, research, education and technologies. The author explains and clarifies mystified phenomena of centuries related to healing. Above all, this research provides insight into this ?phenomena?- natural energetic, interactive condition/ process or similar that delivers positive results through Bio-energy therapy (BET); improving ill conditions as seen from a scientific viewpoint in the short-term post bio-energy therapy, as with a medium and long-term, including acute and chronic ill conditions. This research provides expanded knowledge about the mechanism and its effects. I.e., how BE, as by definition- quantum energetic electromagnetic radiation, affects conditions of the treated clients in a general, macro-physical and micro-cellular based level, outside of the cell in the inter cellular space, as well as in the cell itself, with various mechanisms explained in the publications, even on genetic level, repairing the DNA ("photo repair" or similar). In completing this project, invaluable conclusions were reached. These include required frequency of treatments for achieving positive results; in acute and chronic ill conditions, in order to gain and maintain positive results and to keep already improved previously ill condition stable and/ or under control, and/ or improving the client's conditions, through BE- self-maintenance, self-regeneration and self-healing, self-balancing and all else in a positive sense of meaning, which was delivered and observed. The results referred, have been reported to high-level scientific and religious institutions throughout the world. They open the space for dialogue of scientific and religious thought and for progress for common good, and a step closer to applying this research in a practical professional and educative sense/ system. 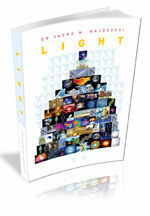 This arduous effort has resulted in several publications and books, including the scientifically based ?Light-Intelligent Creation?, which fuses LIGHT Part 1 and Part 2 and the publication Global Dialogue Initiative which explains why dialogue is a need, for common good. As a pioneering initiative, this whole work is of fundamental value for raising the level of spiritual awareness among humans and a balanced material and spiritual progress for humankind achievable through dialogue among faith and reason, which as a much-needed process, is in its starting phase. The human body literally glimmers. The intensity of the light emitted by the body is 1000 times lower than the sensitivity of our naked eyes. REVEALED: Is hospital worker who captured GHOST on camera hiding a bigger secret? The LHC At CERN Has Discovered The Path To Other Dimensions – What’s NEXT?